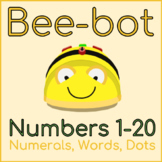 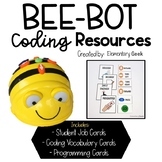 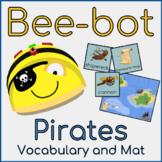 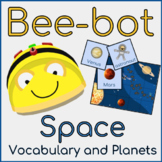 This user guide teaches students the importance of learning to code with Bee-Bot and the operations that each button on the Bee-Bot executes.It is written in language accessible and engaging for students of all ages. 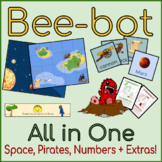 Command Cards for your classroom Bee-Bot! 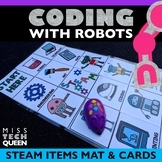 Make copies of these cards for students to create a pattern of programming commands! 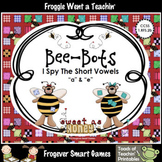 BEE-BOT CHALLENGES - Worksheet Printable SetThis set includes:Challenge CardsUnplugged activitiesAlgorithm challenges. 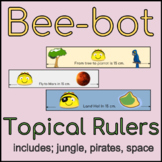 Critical Thinking and Problem Solving with Bee-BotLook for more Robotics and CODING resources available in my TpT store.